Educational buildings, whether for Universities or K-12 Grade schools meet the challenges of scrubbing and burnishing on a daily basis. 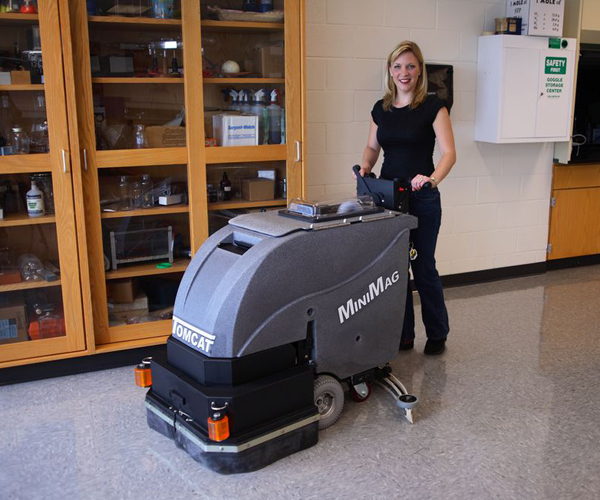 Often asked to scrub more square footage each year, with smaller janitorial staffs, many are looking to the compact rider scrubbers and battery burnishers built by Tomcat. Some of the modern schools have a multitude of complex floor coverings, ranging from artificial turf and rubber gym floors to ceramic tile and even marble. The best solution for customers with such diverse cleaning needs is often a range of equipment, including scrubbers, sweepers and burnishers. Tomcat's line of equipment has the industry's greatest Parts Commonality and with similar controls on the scrubbers and burnishers, training new operators is quite simple.